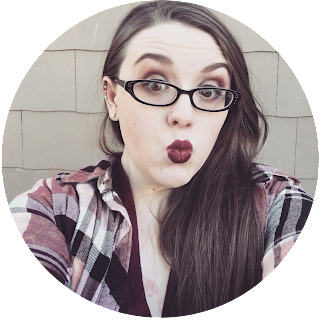 Since I took a break in the middle of February until earlier this week I thought I'd collect my February and March favorites into one lovely post. This will probably be a long one. Grab a cup of tea and settle in. Let's talk about what I've been loving over the past two months! February was a bit rocky content wise and March was a wasteland. I took a much-needed break that I didn't know I needed until I realized I hadn't written in 2 weeks and still didn't want to. We all need to stop and take a moment every now and then. 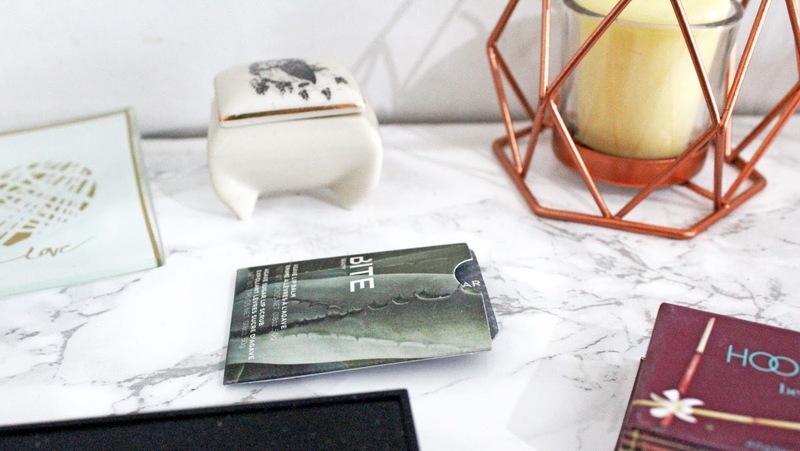 I'm glad I took the time to recharge and now I've come back to blogging and I'm happy as can be! Although I took a bit of a blogging break I still managed to do some creating these last two months. I have made a few new art pieces and started my Etsy Store! I focused on finally getting my shop open and I so excited that I did! I absolutely adore my shop! 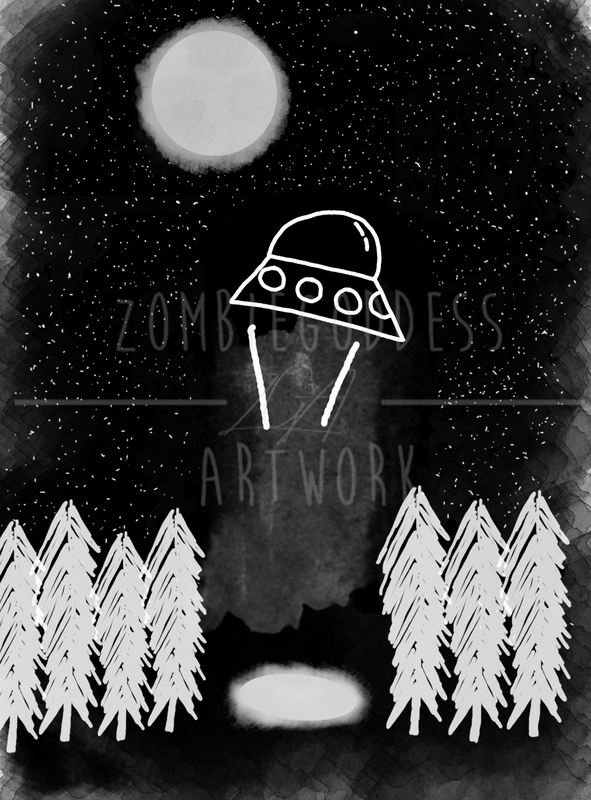 I'm so happy to finally have some of my art for sale! I can't wait to create and add more! I'm currently working on some social media buttons to add to the shop too! Speaking of my art I just did an Alien Ship in the Woods piece and I think it's my favorite so far! It's a negative style, white art on a black background, piece. I adore it! I just put it up in my Etsy Shop I'm in love! As for beauty I finally added some elf cosmetics to my collection! I ordered myself a few products as a birthday present and have fallen head over heels for them! 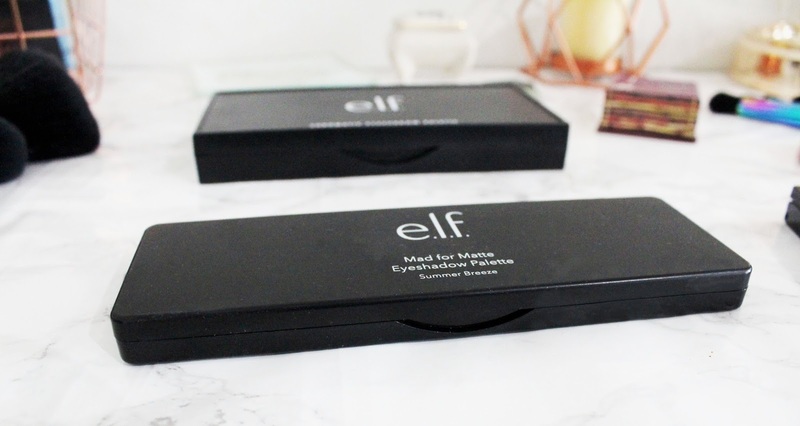 I got the elf Mad for Matte 2 palette. It has such beautiful colors and wonderful pigment! I just did my review. Check it out here. Spoiler alert for the review. I'm in love with it! It's so pretty! I am so impressed. I would never have thought it was a $10 palette. 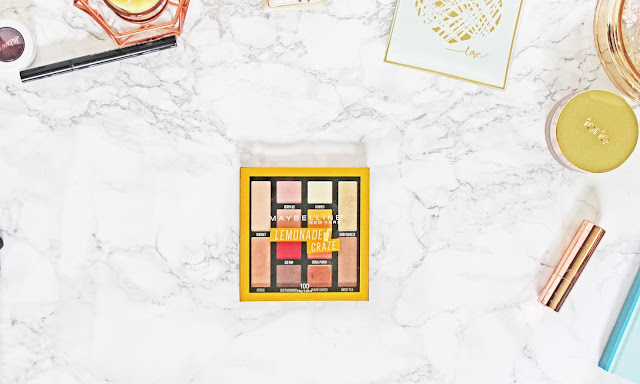 This palette had definitely earned a permanent spot in my makeup bag. 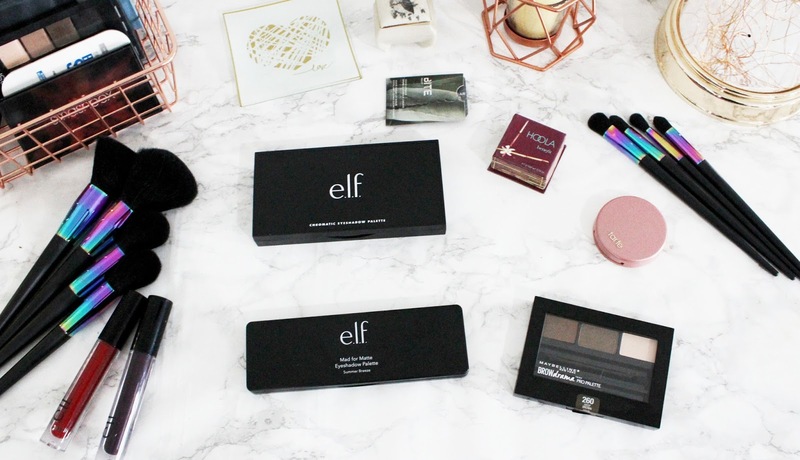 I also got the elf Chromatic Eyeshadow Palette in Bird of Paradise. This is one of their newest palettes. 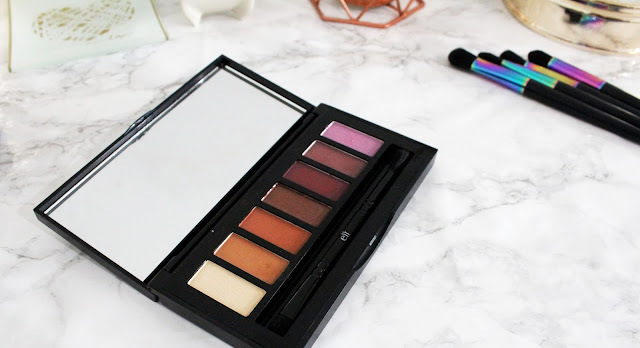 I actually bought it because I thought it might be a pretty good dupe for the Smashbox Ablaze palette and I wanted to test it out. I'm really surprised how much I like the lilac color in the palette. I can't wait to test it against the Smashbox palette. When I ordered my palettes I also ordered two of the elf Matte Liquid Lipsticks. I ordered the shades, Red Velvet and Vampy Violet. I love me some matte lip products. 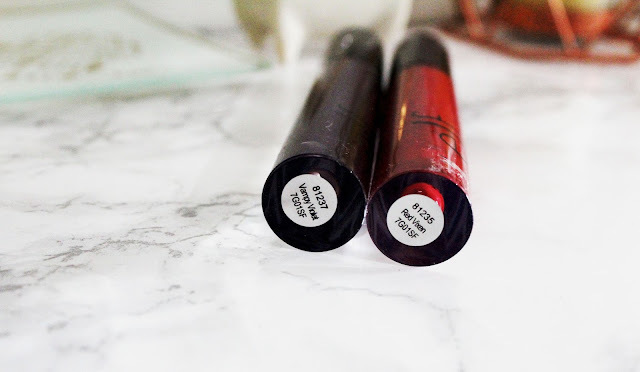 These lipsticks are so smooth and apply beautifully! The pigment is even and looks great! And they aren't drying either! I've also bee loving some old favorites. 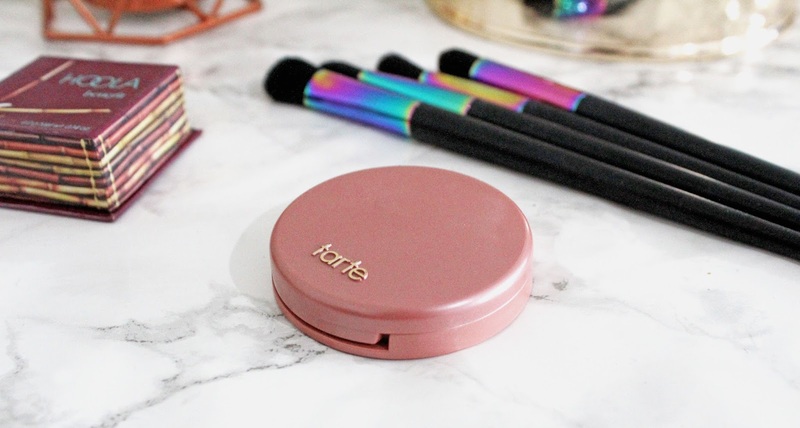 The Tarte 24 hour Clay Blush is my all time fave and never leaves my makeup bag. Am I the only one who finds a favorite and doesn't let go? I adore the Tarte blush so much! Another oldy, but a goody, favorite is Benefit Original Hoola Bronzer. This bronzer is the best shade for me! It doesn't look orange on me or make my face look dirty. 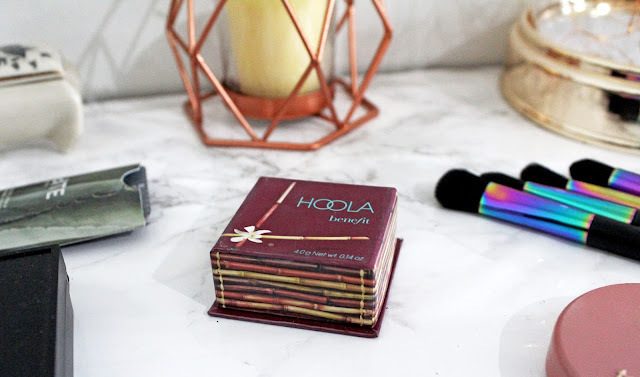 It's been the only bronzer I've used for the last 3 months! For my birthday my mom got me some new skincare products. My skin was in need of some new products. So I got a favorite, Origins By All Greens and a new one to test out Origins Ginzing Refreshing Scrub. 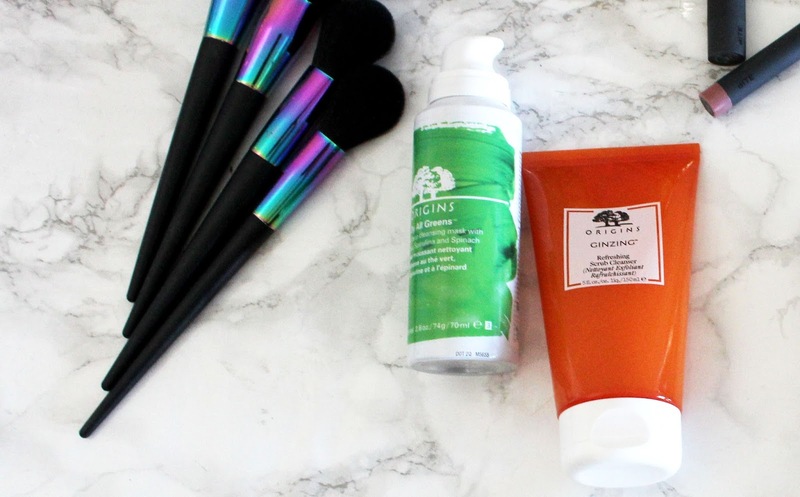 This combo has been working great for my skin. I finally got a real eyebrow product! 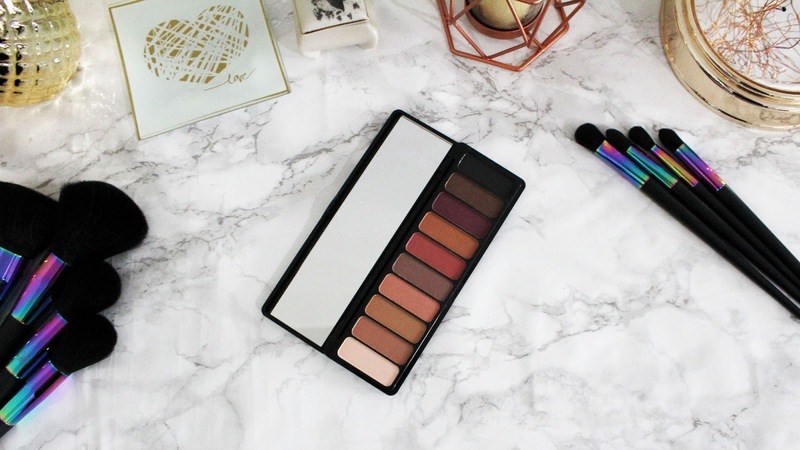 I've been using the brown shade from the Urban Decay Naked Basics palette forever. 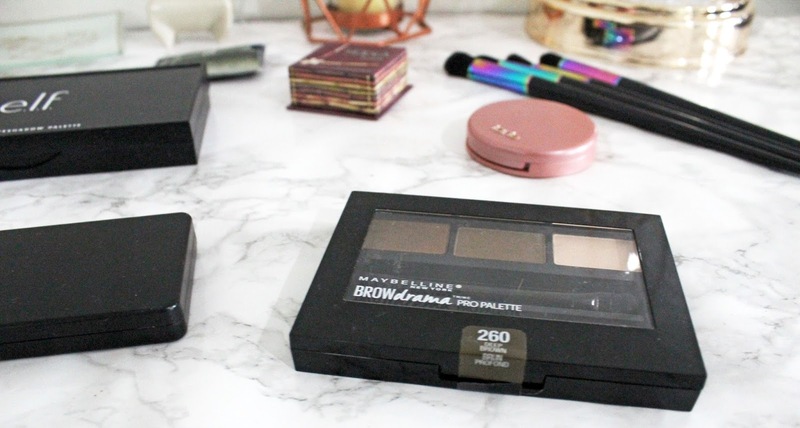 I saw the Maybelline BROWdrama Pro Palette on sale and decided to try it. I really like it! I love that it comes with a colored cream and a colored powder as well as a brow bone color. I really love the way my brows look with this set! I also really love that it came with brushes. 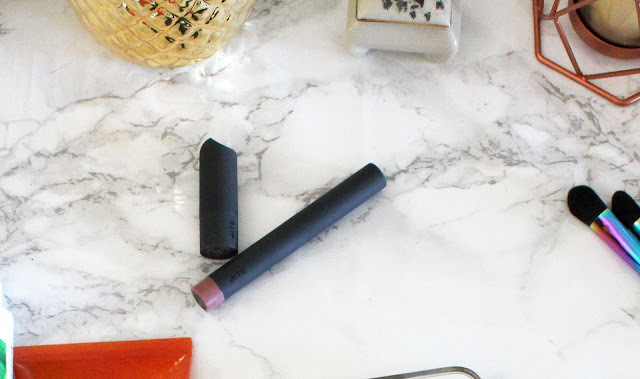 I have also fallen in love with the Sephora Beauty Insider Makeup Gift! It was a 3 piece Bite Beauty Lip set. It came with a Mini Lipstick, a mini lip crayon, and an Agave Duo sample. They are soft and smooth and the pigment is really pretty! You can check out more photos and details in this post. For my birthday my dad got me a pair of Razer Hammerhead BT earphones. They are wireless earphones and they are amazing! I love the quality of Razer audio! And these are just a great as my big wired overhear headphones. Now I can dance without any cords! Thanks to Instagram Stories I've fallen back in love with Instagram! I started posting to my stories every day in February and I've been loving it. I actually got back to posting on my feed again too! I've been posting to my feed and story almost every day. I've become addicted to making Story Highlights and making Highlight covers. I've made so many for myself and I started making them for my Etsy too. I've really been enjoying it! The last thing I have been loving these last few months is my new Amazon Tripod. I was fed up with having slightly shaky photos and decided that I needed to get a tripod. So I broke down and got myself one. I justified it by saying I bought it for my birthday. It's quite large and I can't wait to take mountains of photos with it! 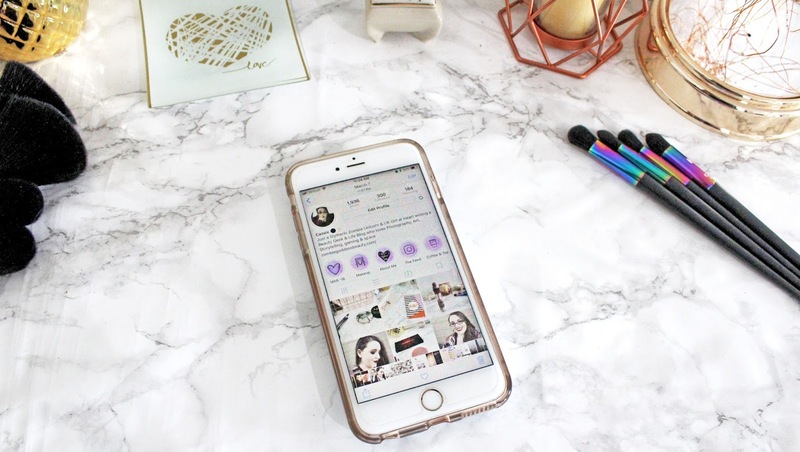 I'm still really enjoying this new style of monthly favorites post! I love the way it flows! Let me know what you think of this style in the comments below! I'd also love to know what you loved these past couple of months.